Last month, I flew out to Chicago and California for lots of exploring and photo adventures. While in Chicago, I photographed two crazy lovers, Ashley + Jake. 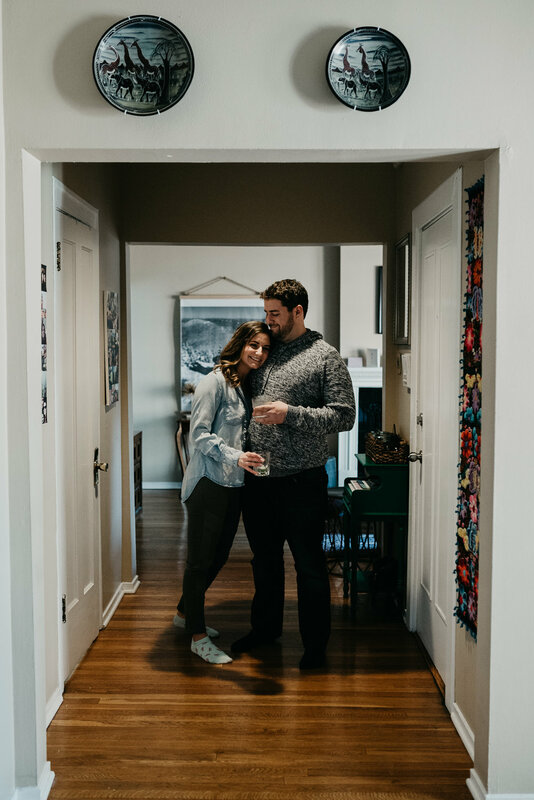 We kicked off their engagement session by having a mini in-home session in their adorable Chicago apartment. I was completely in love with their apartment, the moment I walked in! The rest of their session took place at The Conservatory and then ended at a beach overlooking the Chicago skyline. Ashley + Jake popped some champagne and celebrated their love. These two say 'I do' this November and I couldn't be more excited to be a part of their special day! A huge thanks to Ashley + Jake for showing Travis and I a great time in Chicago!